Nothing says “clean car” better than having perfectly clean, streak-free windows and mirrors. At International Aero, when challenged with detailing the world’s most exclusive aircraft, we needed nothing less than the perfect window cleaner. 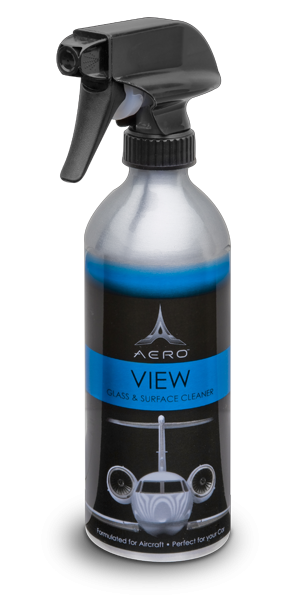 Our team invented VIEW, the ultimate glass cleaner. Not only will it remove the thousands of miles of dirt picked up in the atmosphere, but leaves the glass surface clean, clear and streak-free. If it performs this well on jets, just imagine the beautiful results you will receive on your car.